The 1960's began with musicians costumed in dresses and suits and ended with head bands, fringed vests and bell bottom jeans. What an evolution in just 10 short years! "The Four Seasons and the Beach Boys were virtually the only American groups whose successful careers were not derailed when the Beatles and the British invasion bands hit the States in 1964," according to the Rock and Roll Hall of Fame and Museum web site HERE. Motown Records founded in 1960. Its first Top Ten hit was "Shop Around" by the Miracles in 1960. "Shop Around" peaked at number-two on the Billboard Hot 100, and was Motown's first million-selling record. 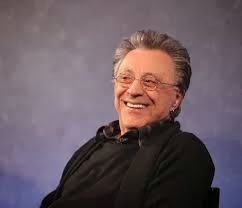 The Four Seasons with Frankie Valli released 4 straight number Ones. The Beatles came to America and played Ed Sullivan on February 9, 1964 (my birthday YAY), spearheading the British Invasion. The Supremes scored TWELVE(!!!) number one hit singles between 1964 and 1969, beginning with Where Did Our Love Go. The Beach Boys release Pet Sounds in 1966, The Beatles were so jealous of that album. Nancy Sinatra's song "These Boots Are Made for Walkin'" became very popular In February 1966. The Supremes A' Go-Go was the first album by a female group to reach the top position of the Billboard magazine pop albums chart in the United States. Jefferson Airplane release the influential Surrealistic Pillow in 1967.The Velvet Underground release their influential self-titled debut album The Velvet Underground and Nico in 1967.The Doors release their self-tilted debut album The Doors.The Jimi Hendrix Experience release two successful albums during 1967 Are You Experienced The first Hendrix song I ever heard was Fire. The Beatles release Sgt. Pepper's Lonely Hearts Club Band in June 1967. The Moody Blues release the album Days of Future Passed in November 1967. But my friends and I didn't discover this album until 1973. Pink Floyd releases their debut record The Piper at the Gates of Dawn. 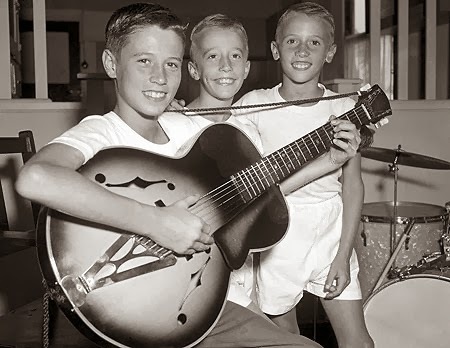 The Bee Gees release their international debut album Bee Gees 1st in July, 1967. Love the old Bee Gee playlist the best. The Monterey Pop Festival in 1967 was the apex of the "Summer of Love". Jimmy Page, Robert Plant, John Bonham and John Paul Jones called themselves Led Zeppelin and Robbie Robertson and The Band released the roots rock album Music from Big Pink in 1968. Sly and the Family Stone revolutionize black music with their massive 1968 hit single Dance to the Music. The Who release and tour the first rock opera Tommy in 1969. The Mighty Motor City 5 release their killer live album Kick Out The Jams recorded live at the Grande Ballroom Halloween weekend in 1969. The Stooges released their debut album in 1969. I thought about you when I saw in the paper he passed away. I have seen his pictures on RetroKimmer. I do like the pictures you have and your music picks. what a great group, lots of hit songs, Did you see Jersey boys?? 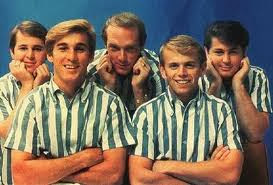 Thanks for aligning the Beach Boys with the Beatles. I'm celebrating Brian Wilson's 1966 work in the studio in my audioblog "Audio Eclecticism in the 60s" and will be following the building of Pet Sounds tracks over the next few months (upon each session's 45th anniversary), along with the Mothers, Beatles and others. Take a listen at http://wp.me/p16jwI-1D for latest episode.